Time once more, clutching decadent mini lobster roll in one hand and trusty **Tequila Mockingbird cocktail in the other, to hobnob with the ridiculously talented creme de la creme of the literary world. And exactly where, you ask, are the household names? They’re here, it’s just I’ve caught them on the up before the outrageous-success/blistering-sales-figures-train has fully left the station. It’s more interesting that way, anyway. 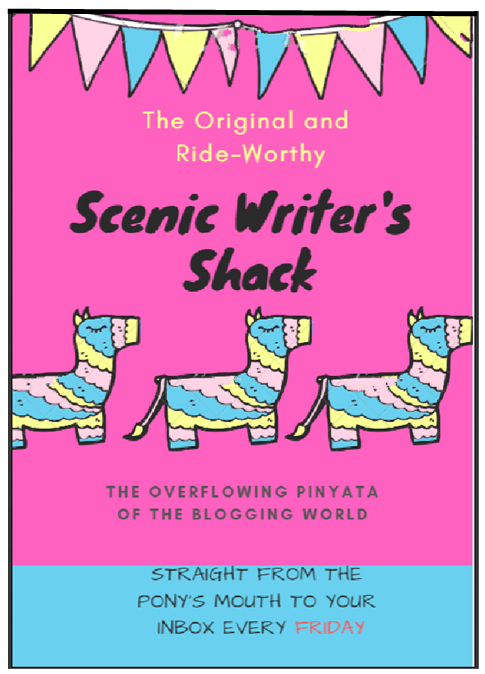 Today we’re meeting Brisbane-raised, Melbourne-based author Iain Ryan. As someone who’s written both flash fiction and full length novels, what would be your advice to an Usain Bolt-type track sprinter (analogously speaking) who dreams of one day running a full marathon? I heard Sydney novelist Caroline Overington www.carolineoverington.com respond to a similar question and say that one approach might be for the would–be 80 000 word novelist to think of the task as simply composing 80 or so thousand word flash fiction stories that each had some connection. Somehow I have a feeling there might be more to it than that. That’s not bad advice. If you outline a novel – and I outline mine – they become a long sequence of short pieces. You can tame the idea of the novel as a Herculean task by going about it in this way. The flash fiction I wrote was about keeping a hand in and working on craft. I tried to write three novels and all three of them were failures. 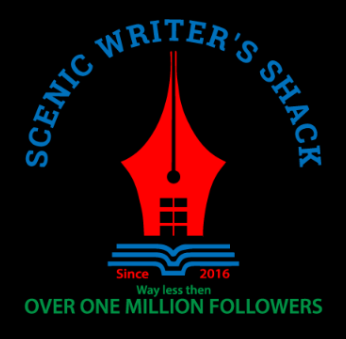 Despite the ongoing failure, I wanted to keep writing. Figuring I couldn’t write novels, I was fishing around for some sort of alternate organising structure for my writing and stumbled upon flash. I wrote a story a day, five days a week, until I had a hundred. Through flash, I eventually built up a repertoire of things I felt comfortable enough writing and took that into my first novel. Publishers send their authors sales reports. THE STUDENT has sold better than anything else I’ve written but I’m a long way from giving up my day job. Genre-wise, The Student can be considered a ‘Campus novel’ as it is set around a university campus. Have you read or are you familiar with any of these other campus novels? I’ve read the Wonder Boys. The main two influences for THE STUDENT – in terms of campus novels – are THE SECRET HISTORY by Donna Tartt and THE RULES OF ATTRACTION by Bret Easton Ellis. Your next novel THE BARBARIAN, which you are currently writing, is also a campus novel. Could you tell us a little bit about it? It could be called something else by the time it’s published, if it’s published. I’m not under contract for another book at the moment. It’s a book set in Brisbane, 10 years after THE STUDENT. I’m no good when it comes to talking about the themes of my books – I often don’t really know why I’m writing a particular story – but in brief, THE BARBARIAN is about a researcher who investigates the disappearance of a series of students on campus. You obtained your PhD at the University of Queensland examining ideology in rock music. You currently live in Melbourne and work as a music lecturer at the Royal Melbourne Institute of Technology. You’ve also played bass guitar in a number of bands. For the fun of it, last year I compiled a list of my Top 50 all-time favourite songs HERE Could you list a half dozen or so songs (from any era) that would make your ‘Favourites’ list. Lastly, would you class yourself as a late-night, early morning or ‘anytime’ writer. Early morning for sure. I have a young daughter so my mornings are a mess at the moment but given a choice, I will always opt for working first thing in the morning. The Noise Police (me) vs the bureaucracy of ParkRun. Ok, it might more correctly be labelled a skirmish or even closer to the truth a difference of opinion, but you know how it is; when you’re up to your knees in it, mere conflicts can appear to take on battle-size proportions. I’ve heard it said the first casualty of war is truth but I’m going to try to relate the events and circumstances of this tussle as factually as possible. Most Saturday mornings for the last six months – including the last twelve consecutive Saturdays in a row – I’ve been going for a 5km ‘ParkRun‘ with a couple of hundred other people, kicking off at 7am. The venue is Rocks Riverside Park, Seventeen Mile Rocks, 13km from my house, which I travel to by car. In the time I’ve been doing it I’ve seen my time come down from around 34 minutes to close to 28 and a half minutes. Considering the men’s world record for the 5km distance is just a single panted breath over twelve and a half minutes, it’s fair to say I’m in no danger of pushing for a place on the Ethiopian Olympic distance running team. Recently the shine has come off my Parkrun experience somewhat, and by shine I refer not to inclement weather (I enjoy running in the rain!). Rather, I speak of the peace-shattering experience of coming face to face – or should that be ear to ear – with the phenomena that is the Saturday morning Parkrunner who insists on carrying handheld speakers turned up to volume 11 (stadium concert level) and thereby treating all other fellow runners within a 50 metre blast radius to their taste in tinny-sounding FM radio-style rock music. Carrying one of these hand-held noise-makers set on ‘annoy’, while running amongst hundreds of other people in a tight-knit group, should be enough to get you ‘run’ out of town. Or at the very least be on the receiving end of a stern warning from the Noise Police. About a month ago I encountered a runner carrying a blaring handheld speaker. At first I thought he was part of the official volunteer organising crew, perhaps placed in the field to provide some kind of motivating musical accompaniment for everyone. I soon realised he wasn’t there in any official capacity but merely operating under the supremely arrogant belief that the entire suburb would benefit from being treated to hearing his taste in tinny tunes. Apart from the deafening noise it also made for somewhat of a sight. There he was, running along with everyone else, while holding in one hand a speaker the size of an envelope mounted weirdly on a metal stick that looked like a cross between a divining rod and an old-school tv antenna. This chap was even more ‘singular’ (allright, I mean ‘eccentric’) then the gents that run the course in a pink tutu. At 7am, even with 250 people huffing and puffing alongside you, it’s quiet. You can hear the birds tweeting in the trees, the flow of the river 10 metres to the right of you, while the early morning rays of the sun lightly caress your skin (before the real sweat-soak sets in). But not on this morning. The ‘amongst nature’ aspect of this morning was completely not just absent but obliterated. I noticed that, conveniently, everyone else seemed to pretend the eccentric noise pest was not in our midst and was happy to let him settle in the upper portion of the middle of the field. When he went to run past me I turned and asked, “What’s with the speaker mate?” but he either didn’t hear or chose to ignore me and kept on running past. 30 minutes later when I crossed the finishing line I sought out the event organizer and registered my complaint along with the request that our loud jogger be asked to wear earphones like everyone else who opts to listen to music while they run. The following week I turned up again at 7am but this time with backup – a fellow male running mate. Noise guy was there again but minus his boombox-on-a-bent-selfie-stick. Problem solved – or so I thought. One week on again (now two weeks after the original encounter) and the guy was back with his same weird stick-speaker smashing the sonic landscape for all it was worth. This time however there was an added bonus. A young mother pushing a pram (with baby miraculously somehow asleep inside) decided she’d join the ranks of the noise polluters and use her smart phone (minus earphones) cranked to maximum volume to treat others to a selection of delightful (to some) Katy Perry tunes. Not quite to the lawn-mower level of shared audio as handheld-speaker guy but same principle in operation – inconsiderate, attention-seeking behaviour by a lone individual seemingly oblivious to the unwritten rules of shared space and no-one prepared to call them on it. I wish to register a complaint regarding runners who play loud, blaring music on hand-held speakers or mobile phones while they are running without the use of headphones. This practice is frequent at the Park Run I attend which is at Seventeen Miles Rocks – Rocks Riverside Park. Yesterday there was a male person holding hand-held speakers while running. Anyone within a radius of 50 metres was blasted into oblivion on what would otherwise have been a peaceful Saturday morning. Also yesterday a woman pushing a pram treated everyone (including her own baby) to her tastes in loud rock music from the speakers of her mobile phone turned up to volume 11. I have expressed my concerns before to staff at Rocks Riverside Park regarding the inconsideration of these people who refuse to don earphones and instead inflict their noise on others, but a few weeks later the problem returns. Could someone please contact me regarding this matter. My phone number is 3372 3958. This is a tricky one as while I can completely appreacite that the music is annoying and disruptive to your planned peaceful Saturday morning ParkRun, as the volume wouldn’t be above noise restrictions, we can’t stop people from playing music while they walk or run. You and the event team can certainly let the people know that not everyone loves hearing music while they ParkRun, but we can’t stop them. We do hope they will take other people’s opinions on board and be considerate of others. To be honest I find your response a little weak. You say that you ‘appreacite’ that the music is annoying and disruptive to ‘your’ (meaning my) ParkRun in some attempt to reduce the size of the complaint to just one person – me, whereas, as with most things of this nature, I am merely the one person who has spoken up on behalf of the hundreds of others that suffer in silence or at the finishing line have a good whinge amongst their mates about the ‘nutter with the blaring speakers’ but don’t take it any further. Basically you are washing your hands of the matter and wanting me to risk having a possible face to face altercation with someone to convince them against their wishes to show some basic consideration. You say “we can’t stop people from playing music while they walk or run”. Is that what I’m asking you to do? No, it’s not. What I’m calling for is a common sense request that if people wish to play music while they run or walk they do it with headphones on. At the very least, this request could be made by the person behind the microphone who speaks to the assembled runners prior to the commencement of the run. Not at all satisfied with the response Nikki so I would like to be put in communication with another person from your organisation – preferably the organiser of the Seventeen Mile Rocks Brisbane ParkRun – so I can discuss what can be done further. Nikki Waterfall forwarded me the email conversation you have had with her in recent days. I would like to reiterate Nikki’s comments that the issue of ParkRun participants running with speakers is not one that we are looking to police centrally. Since we launched ParkRun in Australia back in April 2011 we have seen 396,855 people participate across 35,047 events and you are the first person to ever raise this issue. I have also spoken with the country managers for ParkRun in the UK, South Africa and Poland and they have never had a complaint about this either. As such, if there are others who feel the way that you do could you please encourage them to provide similar feedback so that we can see this issue is bigger then it appears and needs to be addressed. 10 million people times by x to the factor of whatever have participated in ParkRuns and no one’s ever mentioned it before. That must prove the problem doesn’t exist then, right? Next time you have a barking dog problem or noisy neighbours after midnight problem please think of this dismissive reply you’ve forwarded me. And no, I won’t be starting any on-line petition in an effort to attract your attention with the weight of numbers behind this complaint. I still might go ahead and ask a couple of mates of mine to email you but sounds like you’d just dismiss that as merely a few like-minded sore heads that don’t really represent the masses and are just as easily ignored. Guess also you won’t be turning up anytime soon to the Seventeen Mile Rocks Brisbane ParkRun to hear all the not-so-light-hearted whingeing that goes on at the finishing line regarding the couple of attention-seekers who run with blaring audible speakers minus the headphones and ruin it for the rest of the ‘silent majority’. Thanks for absolutely no help at all. How very corporate of you. I’m going to blame battle weariness for resorting to dropping all the smart-alecky sarcasm bombs towards the end there but that’s what tends to happen when frustration starts to creep up on you like a slowly rising tide. You feel like someone’s not really listening and instead just smugly quoting statistics in an attempt to shrink the importance of the problem being described down to zero. Next month a new weekly Saturday morning ParkRun will begin in my local neighbourhood of Forest Lake. That will mean I’ll no longer have to travel the 13km to the venue at Seventeen Mile Rocks. Would it be too obvious an ending to this post to say I’ll be praying on both knees Mr-Handheld-blaring-speakers and Ms pram-pushing–iPhone-blasting Mum don’t both suddenly start turning up to this new venue as well? Ps. Here’s your medal for getting through a 5km long post. “There was one rat who smashed me over the head with an iron bar in St. Kilda in late 1977. No wonder my memory is half shot to pieces with the blows I’ve taken to the head over the years. And now its time to do it again. This coming Sunday and Monday nights, Channel 9 is premiering the latest incarnation of the UNDERBELLY crime-drama series (there’s been six series so far, all based on true life events, the first of which aired back in 2008). For the two part series UNDERBELLY FILES: CHOPPER former Neighbours actor Aaron Jeffrey has been recruited to play the sharp-witted standover man. While I’m looking forward to watching the series I must raise the question of whether the producers could have found an actor who bore a closer physical resemblance to the late real life Chopper. While there’s no doubting the New Zealand born Jeffrey’s bona-fides as an actor – he played Thomas Logan in the film X-MEN ORIGINS: WOLVERINE as well as appearing in all 23 episodes of Foxtel‘s 2013- 2015 series WENTWORTH in addition to roles in two previous UNDERBELLY series, when a film or television series aspires to present a portrait of a real individual who has lived or is living, then part of the experience of believing what they are seeing for an audience includes how close the physical matchup of the actor playing the part is to the real-life person. When I spoke back in August last year (HERE) of Channel 7’s miniseries BLUE MURDER: KILLER COP which portrayed the real-life events surrounding the life of corrupt former NSW police-detective Roger Rogerson, I made mention of how incredible the match was between the real-life Rogerson and the actor hired to play him in the series. And how ’bout the one with Leonardo DiCaprio? I won’t let the fact actor Aaron Jeffrey isn’t a dead ringer for the real Chopper Read impact my enjoyment of the new UNDERBELLY series on Sunday and Monday nights. I’m confident Jeffrey will more than make up for what he may lack in the physical resemblance department by getting the mannerisms, speaking style and other nuances that go into creating a character down pat. And in Chopper‘s case that means acting crazier than a ride on public transport, everyone’s Uncle Bob and a zebra in a horserace all rolled into one. Last Sunday night a new show debuted on free to air Channel 10. Don’t think I’ve watched anything on Ten since the time Paul Keating was Prime Minister of Australia. The show is called SEAL TEAM and stars David Boreanaz, the guy who played FBI Special Agent Seeley Booth in BONES for a number of seasons. Naturally it features a lot of overconfident warrior types strutting around in Disruptive Pattern Camouflage Uniforms, (DPCU‘s in military parlance) flashing pearly white teeth and acting all snarky while going on ‘ops’. There’s lots of chest-puffing lines like “Let’s do this!” and “I got this!” and I noted a number of characters begin their sentences with “So..” cause apparently that’s considered a cool thing to do. The debut episode (the series aired beginning in September last year in the U.S.) adopts a framework of balancing on-the-ground military actions periodically intercut with whatever’s happening with the wife and kids back home related to the soldier’s private lives. Television critics in the States have labelled SEAL TEAM a bland and forgettable military procedural. The first episode held my interest but Channel 10 would want to stick to the advertised time slot this Sunday night instead of allowing I”M A CELEBRITY – GET ME OUT OF HERE! to go 30 minutes overtime and by proxy forcing viewers to endure the last half of that program while waiting. Pain of that severity is not something even a special forces soldier should have to endure. It was around this same period last year I was talking on these pages (HERE and HERE ) about a reality TV series on SBS that put a group of civilians through six weeks of torturous Special Forces training. The most recent addition to this repository of ‘Above Top Secret’ literature laying bare previously highly classified military methods and missions is a book released last year titled THE OPERATOR. This is the third account I’ve read written by Special Forces soldiers present on the ‘capture or kill’ mission targeted at terror mastermind Osama Bin Laden back in 2011. What gives this latest book its mark of distinction is that it is penned by the soldier, Robert O’Neil http://www.robertjoneill.com/ who actually put the three bullets into the head of the notorious Al-Qaeda (remember them?) leader. THE OPERATOR follows this blueprint to a T. It’s middle pages include recall of two other famous sorties O’Neill was a part of – (A) the 2005 mission to Afghanistan to rescue ‘Lone Survivor’ Navy Seal Marcus Luttrell and (B) the 2009 mission in the Indian ocean to rescue Captain Phillips and his crew aboard a container ship hijacked by Somalia pirates. The account of the mission to kill Osama Bin Laden occupies less than 40 pages of the 360 page text. O’Neil candidly recalls the personal backlash he suffered in the days and weeks after the mission when the Seal Team became known worldwide in the wake of the historic success of the mission. Much to his disapproval he was singled out for extra glory as the trigger man and felt jealousy and disdain from his teammates as a result. As I’ve well and truly donned the cammo paint for this post I may as well mention the fact that of the two movies based on OPERATION NEPTUNE SPEAR (The U.S. Navy Seal mission to capture or kill Bin Laden) I’ve seen – the big budget, Oscar-nominated, Kathryn Bigelow directed ZERO DARK THIRTY (17 U.S newspaper critics rated this film their # 1 movie of that year) and the no name, made-for-television (though I own a DVD copy of it) SEAL TEAM SIX, I would rate the no name, made-for-television SEAL TEAM SIX as by far the better film, and at a modest estimate ten times more engaging. PSS. SEAL TEAM airs on Channel 10 again this Sunday night. PSSS. Thankyou to everyone who responded with suggestions last week as to what this blog’s 2018 slogan ought to be. 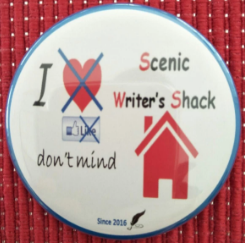 Indecision has seized me like an arthritic joint in the dead of winter with the result being readers will be greeted with a series of ever-changing ‘taglines’ below the words SCENIC WRITER’S SHACK throughout the year, beginning today.